When Acorah Software Products entered the market in 2005, we had a team of five people. Today we have a team in excess of eighty and we are still growing. I believe passionately that software should offer a simple, not complex proposition to businesses and individuals alike. Creating award-winning software takes more than a team of technical minds. It takes passion, creativity and dedication to deliver outstanding products and at TaxCalc, we take immense pride in developing leading-edge software products that are intuitive, thoughtfully designed and offer exceptional value for money. The quality of our team is the cornerstone of our ability to serve our customers. Being one of the largest privately owned software companies in this market, we have created a corporate culture that is quirky, but has enabled us to attract and retain an exceptional, much-valued team. We are united by a strong set of core values that allows us to adopt an approach that is relentlessly customer focussed. Our customers are at the heart of everything we do – we don’t always get everything right first time, but we do listen. We will always implement change where necessary and incorporate your ideas and suggestions into our software to improve the efficiency and workflow of your practice. Our UK-based Support Team is on–hand to offer free telephone and email support when required and our Knowledge Base offers a plethora of FAQ’s, hot topics and SimpleStep guides. We are constantly seeking to improve our software and we release free, feature-rich updates throughout the year. We have always believed in transparent pricing with no hidden extras. These values helped us win ‘Best tax software’ in the Software Satisfaction Awards for five years running. All of our products are available for purchase and download from this website. TaxCalc has a long history stretching back over 30 years. Originally conceived by Which? (The Consumer's Association) in 1983, the first incarnation of the program appeared on BBC Model B to help taxpayers calculate their tax liabilities. Successive versions quickly appeared for other popular 80s computers, such as the Sinclair Spectrum. Even in its 1980s incarnation, TaxCalc was designed around a step by step process, asking questions and computing an overall tax liability. This approach can still be found in our SimpleStep® mode today. It’s in our DNA. Alas, 8-bit computers were not going to rule forever and the late 80s ushered in a new era of development on IBM PCs, establishing the format for many years to come. Which? owned the TaxCalc brand for many years until the early 2000s when it was sold to Intuit. 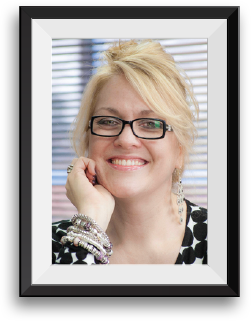 Acorah Software Products, founded and owned by Tracy Ebdon-Poole, acquired a tax software company called TaxChecker. With big plans to revolutionise the tax software market, the company then acquired the TaxCalc brand from Intuit. Within a couple of months TaxCalc 2005 was born. In just a couple of months, TaxCalc 2005 was out of the blocks and in the hands of customers. Since that very first release, Acorah has improved TaxCalc year upon year. In 2006, the company's online store was introduced. Customers could then quickly and easily make their purchase online and download their software. In 2007, an all-new website was introduced and products' names and categories were updated, creating bundles of commonly used forms at competitive prices. As a result, the accountancy practice customer base began to grow substantially as more and more firms realised the ease of use and value for money that TaxCalc offered. In 2008, the company entered SIFT Media's AccountingWeb Software Satisfaction Awards. Voted for by our customers, we were proud to win the tax software category in our first year of entry! The investment in our software clearly showed and TaxCalc continued to win the Software Satisfaction award for tax software for a total of five years running. Today, our products support in excess of 60,000 individual, business and accountancy practice customers running a wide suite of products on Windows, Mac and Linux operating systems. 2017 AccountingWEB software excellence winners - Tax, Account Production and Practice Suite. TaxCalc’s growing team is built to scale along with the thousands of individuals, businesses and practice customers that we continue to attract. As a privately owned, founder-led company, we’re able to work fast and respond to our customers needs. We invest in development, research, customer support, and great design. We only have one rule at TaxCalc: courtesy to our customers and courtesy to each other. 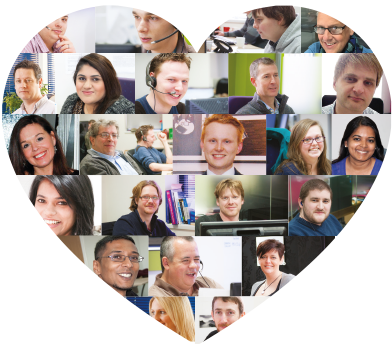 Here’s what some of our team have to say about working for the company. More than 60,000 people, businesses and practices in the UK trust TaxCalc. Our products are built from the ground up by people who are passionate about creating powerful, elegant and simple to use tax and accounting software. Whether you are filing your own tax return or filing hundreds of them for your clients, TaxCalc is beautifully designed to meet your requirements. We believe that TaxCalc should be as straightforward to buy as it is to use. That’s why all of our products are available for purchase and download from the website. We have always believed in transparent pricing with no hidden extras. These values helped us win ‘Best tax software’ in the Software Satisfaction Awards for five years running.